A lifetime replacement guarantee says it all. 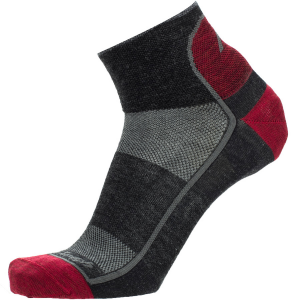 A very soft, warm Merino wool sock with extra cushion underfoot. 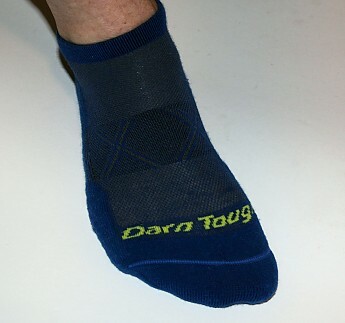 Darn Tough socks all come with a no questions asked lifetime guarantee, and that tells you all you need to know about the quality of their socks. In my neverending quest for the ultimate hiking sock, I like to test socks that are designed for other sports, such as running and biking. 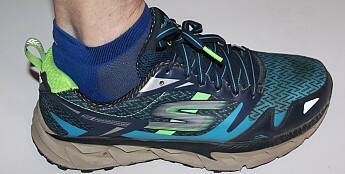 Being a fan of trail runners and low rise hiking boots I did all my testing of these Darn Tough Merino wool no-show socks paired with either my Skechers GoTrail runners or Ahnu Ridgecrest hiking boots. 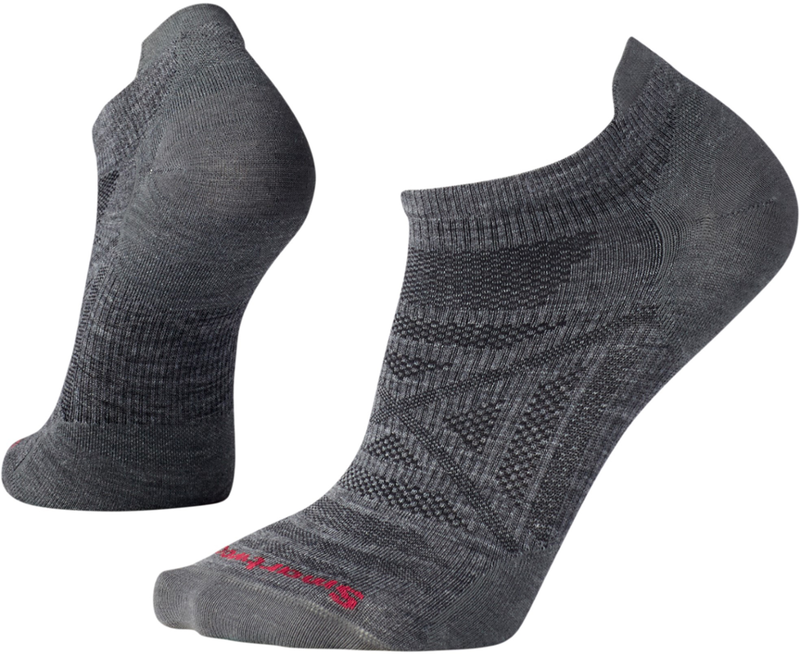 Comprised of a blend of Merino wool, nylon, and Lycra Spandex the socks are super stretchy and the fit is great with no bunching. A medium size worked perfectly for my size 9 feet. 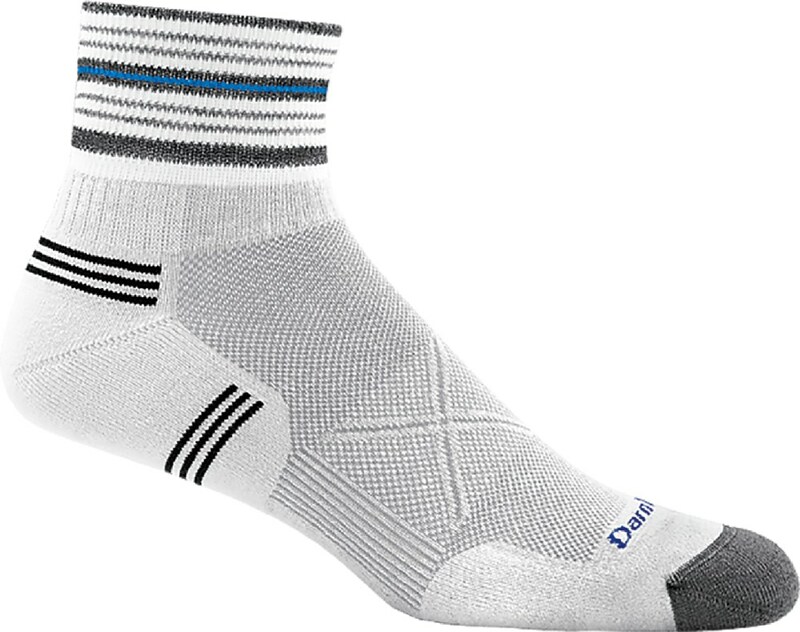 The sock has extra layers of cushioning starting at the achilles, wrapping around the ankle and to the arch, and then again surrounding the seamless toe area. 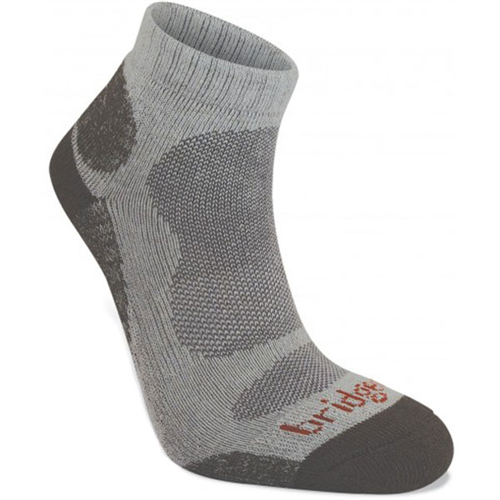 The sock is constructed with ventilation at the arch and across the top. Padding also completely surrounds the cuff of the sock and ends with the Vertex tab which aids in pulling on the sock. 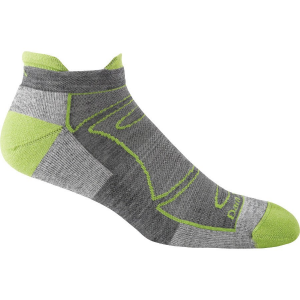 During real world testing in both the Sierra mountains of California and the Alps in France I really thought these Ultra-light socks performed flawlessly. The combination of the extra cushion and the excellent fit allowed me to hike 10 plus miles a day without a hint of a blister. They did a great job of wicking away moisture and the breathability left my feet dry all during the day. 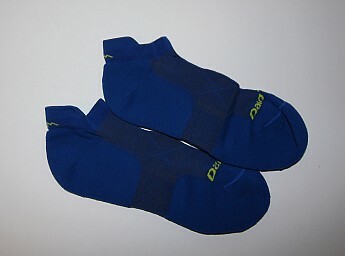 I continue to marvel at the ability of a Merino wool sock to keep my feet cool when it's hot and warm when it is cold. A real plus during these backpacking trips was the no smell antimicrobial nature of the Merino wool. This allowed me to wear them for several days in a row without gassing out my wife. The padded cuff does a really good job of keeping stones and dirt out of my footwear while also making for a more comfortable fit. With about 250 miles on this pair of socks, they still look and perform like new and much of that can be contributed to the fine gauge knitting and the durability of the yarn used. Darn Tough likes to say "Put in on and forget it's on" and the comfort I experienced certainly backs up that statement. 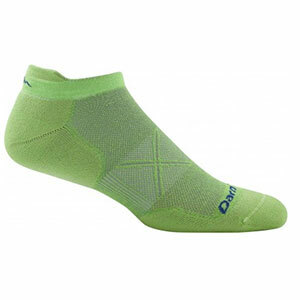 That and the lifetime guarantee is the reason Darn Tough socks are consistently voted the top sock for long haul backpacking trips on the PCT, AT, and CT.